Recently an article on Buzzfeed touched on a very real experience for me: being in your 30s and holding onto your compact disc collection. 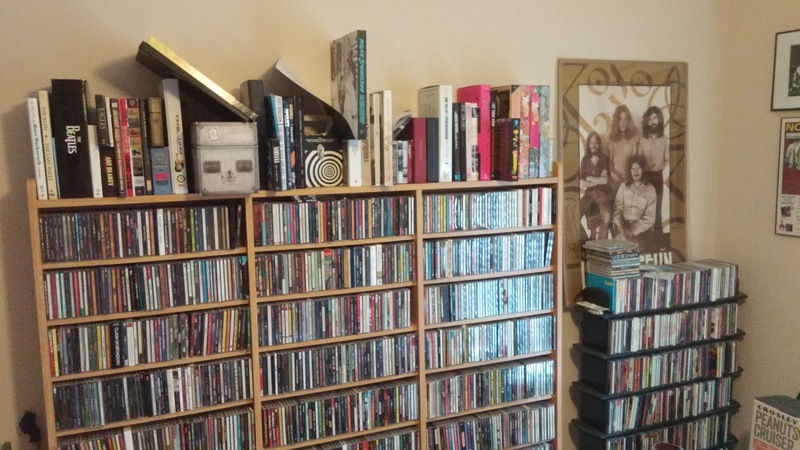 I will not dispute any of the contents of the article, as I believe it is factual and correct, but I do object to calling CDs "outdated physical media." Maybe it was a way to bait me into reading the article. Well, sometimes, you have to let the internet win and give the article a click. When I'm at home, I listen to music either on my turntable, my Spotify account on my phone or desktop, or my iTunes library on my desktop. Near my turntable is a multi-disc CD player that I have never turned on since I've lived in my current residence. The last time I used it was about 10 years ago when I would co-host theme parties and burn mix CD-Rs for them. I'm not even sure the player is set up correctly through the receiver. All it does is collect dust, but I'm not about to get rid of it. While they aren't getting a lot of play in my house, I prefer to listen to CDs in my car for many reasons. Apparently after this year, more and more car manufacturers will cease installing CD players in their vehicles. When Hope bought a new Jeep a couple of years ago, she was sad that a player was not included. That served as a heads up that one day, we'll all have either streaming or terrestrial radio to entertain us in a vehicle. Instead of fighting this change, I will slowly embrace it. 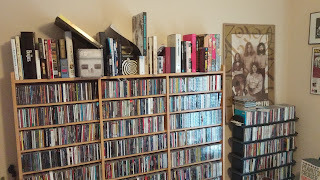 In the meantime, let me explain why I have held onto my CDs. And it's not just for nostalgic reasons. I challenge people to think about what's more "convenient" when it comes to listening to music in a vehicle. (Option A) Slipping a CD into the player and letting the music play. Since there are only a dozen or so songs on the disc, the limited amount of songs I can hear allows me to not be distracted from wanting to hear dozens more. If I'm in a hurry, the amount of time between getting in my car and hearing the music I want to hear is a matter of seconds. (Option B) Making sure my vehicle is stopped, hoping my Bluetooth connection is set to my phone, and hoping my Spotify app will load in a timely manner. Add in the hope the artist or album I want to hear is still available on Spotify. Plus, there is no end of music to listen to. And I have to be mindful of how much data I use on my current plan. If I'm in a hurry and all of these seem like obstacles I don't want to deal with, I will listen to the radio or silence instead. If you think Option B is more convenient for modern times, I beg to differ. Just because something is more commonly done in the modern sense doesn't mean it's the best experience. There is another thing at play as to why I hold onto my CDs. Last year, I finally upgraded my desktop to a newer version of Windows. (You don't need the latest version of Windows to write articles or emails properly.) When I imported my old iTunes library to the current edition, I noticed a lot of songs were missing. As in, 15 gigs worth. Turns out the music I used to listen to the most didn't make the journey to the new hard drive. Slowly, I have gone back to my CDs to rip the songs into my iTunes library again. It reminds me that I'm glad I didn't toss those CDs out with the times. Someday, my iTunes library will be back up to date, but the chances of having to upgrade to another version of Windows will be high. Having a physical copy to back up something that really matters to me is vital. Sure would hate to see all those great songs disappear again because of a hard drive flaw. As I think about the future of CDs, I think there will be some sort of revival of their importance to a mass audience. Maybe not to the extent of what vinyl has experienced in the past 10 years, but I don't believe CDs will fully disappear. Cassettes seemed to come back into vogue when the chances of finding a cassette player grew small. Now you have a lot of young bands pressing vinyl, CDs, and tapes to get their music to the most amount of people. If CD players continue to grow harder to find, the chances of a revival will grow. It's the way trends often happen. While the argument of convenience is a little out of step with the times, I don't believe I should give up on what has brought me much joy for most of my life and continues to this day.